Above pictures feature 2 of the 5 golden healers in the group. 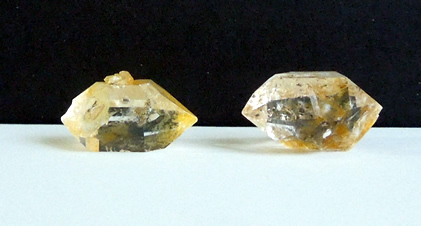 The other 3 crystals are pictured below. 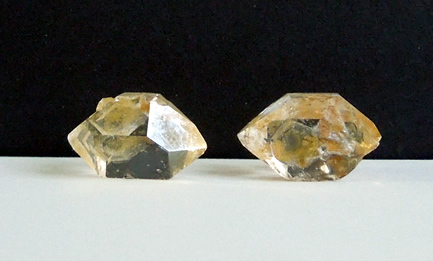 12x8.5x6.5 mm / 3.5 ct. is palest with shallow key mark and window face. 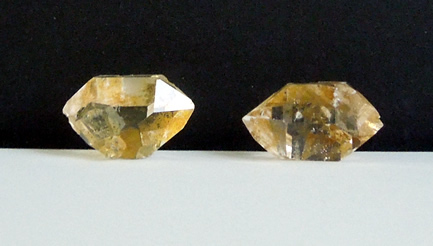 12.75x9.5x7 mm / 4.1 ct. with sharp double termination points. 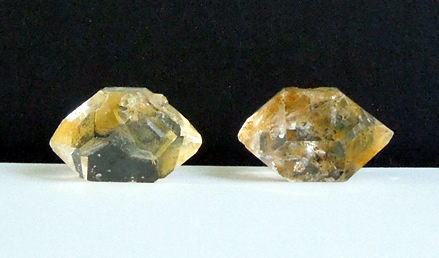 17.25x11x8.25 mm / 9.5 ct. has excellent clarity and a cluster of baby crystals. 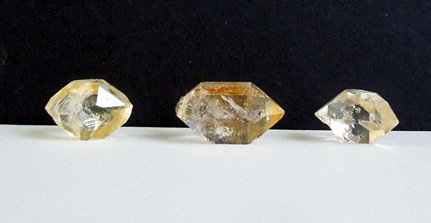 These natural golden healer quartz crystals range in color from light to dark. The pictures represent them well, maybe a bit darker. 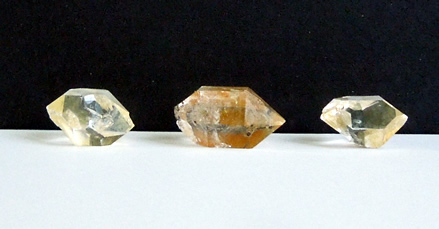 Clarity is good to excellent and all are double terminated. 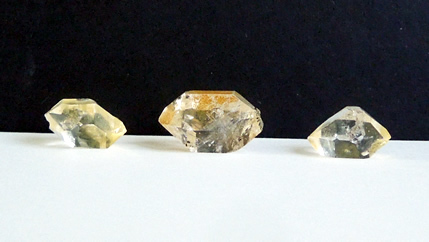 Pictures below show three in group of five natural golden healer quartz crystals.